Wherever anglers gather, there is likely to be talk about the extreme aspects of fishing. Someone will mention the biggest this or most expensive that, and suddenly the place is abuzz with discussion. Those with conflicting opinions may engage in light-hearted arguments, bets will probably be made, and, sooner or later, someone will access the Internet from their smartphone to settle the dispute. A largemouth bass nicknamed Dottie, perhaps the largest ever recorded, was caught at least twice by anglers fishing 72-acre Dixon Lake near Escondido, California. 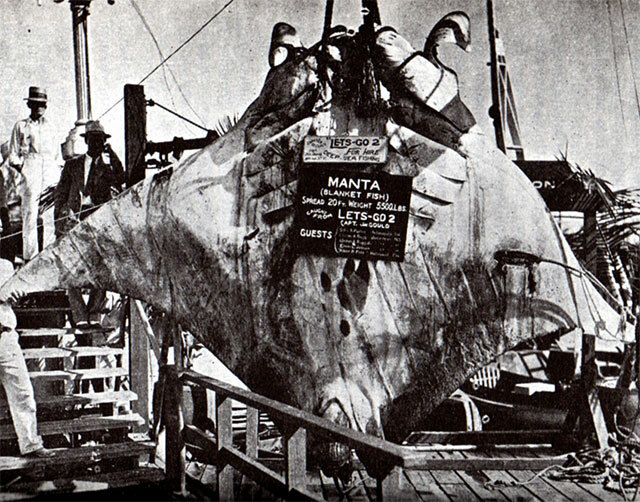 (The fish was recognizable because of a unique black mark on the underside of the right gill plate.) When Jed Dickerson caught it in 2003, it weighed an astounding 21 pounds. He released the fish healthy and alive. When Dickerson’s friend Mac Weakley caught it again in 2006, it weighed 25 pounds, 1 ounce on a hand-held digital scale, making it a potential new world record. Weakley decided to release the bass, however, because he had unintentionally foul-hooked it. The bucketmouth turned up dead in the lake two years later, never having been caught again. It’s difficult to determine how fast some fish can swim, but some anglers at Florida’s Long Key Fishing Camp came up with a simple method for accurately measuring a fish’s swimming speed. A fish is hooked. It makes a run. You measure how much line the fish took off the spool in a certain number of seconds, and you can calculate the fish’s speed. The fastest fish in these speed trials, perhaps the fastest fish in the world, was a sailfish that took out 300 feet of line in three seconds, a velocity of 68 mph. That’s zero to 60 mph in 2.6 seconds! A tagged great white shark became the quickest recorded oceanic traveler after it swam from South Africa to Australia and back in under a year. The female shark was tagged with a data transmitter off South Africa in November 2003. The unit detached automatically and was recovered off western Australia four months later, but that wasn’t the end of the story. In August 2004, five months after the transmitter bobbed to the surface, project research scientists spotted the shark—identifiable by a pattern of notches in its dorsal fin—back in its old haunt off South Africa. It had completed a round trip of some 12,500 miles in just nine months. On June 12, 1999, Tiney Mitchell of Port Isabel, Texas, finished constructing the world’s largest fly fishing rod and reel. The rod is a whopping 71 feet, 4.5 inches long. The reel measures 4 feet in diameter and 10 inches in width. You can see it at the end of Maxan Street in Port Isabel. For many years, the oldest fish on record was female European eel named Putte. She was kept in an aquarium all her adult life, and when she died at Hälsingborg Museum, Sweden in 1948, that slimy ol’ gal was reported to be 88 years old. That record is old news, though. A 32-inch-long rougheye rockfish caught in Alaska was determined by scientists to be an amazing 205 years old. Biologists used growth rings in the fish’s ear bone to estimate the age of the fish that started life 50 years before the Civil War! Researchers are studying the genetic code of rockfish, but it’s unclear for now why the rougheye, which matures and reproduces late in life, lives so long. If you’re like me, you find it pretty upsetting when you snag a $5 or $10 fishing lure and lose it. But a loss like that is nothing compared to the chance one would take fishing with the Million Dollar Lure from MacDaddy Fishing Lures. This 12-inch trolling lure, designed to catch marlin, was crafted with just over 3 pounds of glimmering gold and platinum, and encrusted with 100 carats of diamonds and rubies (4,753 stones to be exact). Cost? Just as the name says—a cool $1 million. According to Sport Fishing magazine, the lure’s owner insured it through Lloyd’s of London and actually trolled it behind a boat inside the bay at Cabo San Lucas using 130-pound-test mono and a 500-pound steel leader. Fortunately for him, perhaps, the sparkly bait didn’t draw any strikes. So you thought you made a lot of casts during the last tournament you fished, huh? Check this out. In July 1999, Brent Olgers of Macon, Georgia established a world record for the longest period of consecutive casting. Using a Zebco 33 Classic reel, Olgers cast 6,501 times in just over 24 hours, averaging 270 casts per hour. Each cast had to be at least 45 feet in length. Amazing!